Key Bridge Boathouse might be one of the most photographed and recognizable boathouses on the East Coast. With its colorful fleet of kayaks and canoes, painted docks, and iconic location underneath an arched span of the Key Bridge, D.C.’s oldest standing bridge, Key Bridge Boathouse is an experience to behold on a summer day. Originally chartered as Jack’s Boathouse in 1945 by Jack Baxter, who was a D.C. police officer for 11 years, this public boathouse became an institution for both locals and tourists looking to get out on the river. As the decades have passed, the boathouse has only become more popular. From the time the Georgetown Waterfront was still an industrial zone, to its demise and ultimate renaissance, Key Bridge Boathouse has been putting folks in boats all along. 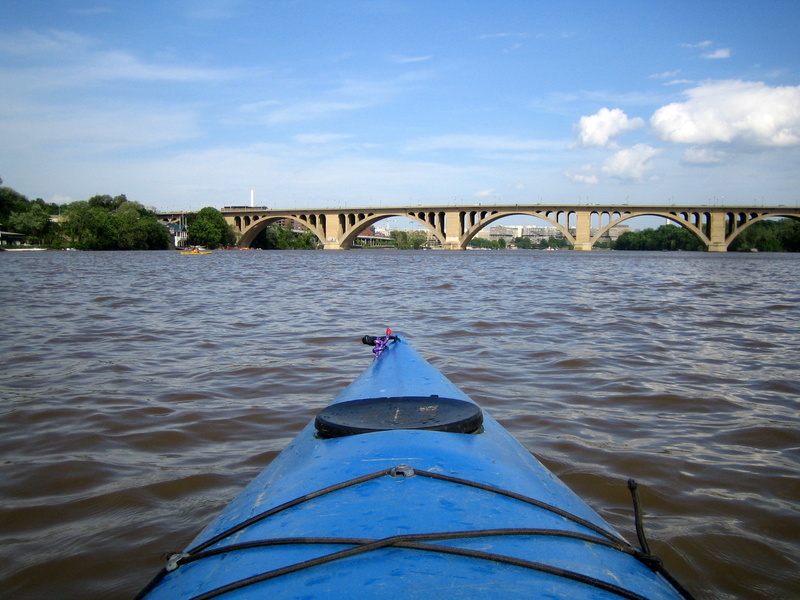 Launching at Key Bridge Boathouse allows paddlers to venture upriver for more natural scenery and wooded shorelines, or downriver to see the cityscape of Arlington and the skyline of Washington, D.C.